Combine the olive oil, red wine vinegar, white sugar, salt, garlic and Gorgonzola cheese in a blender; blend until smooth. Pour the dressing into a small saucepan over medium-low heat and warm gently. 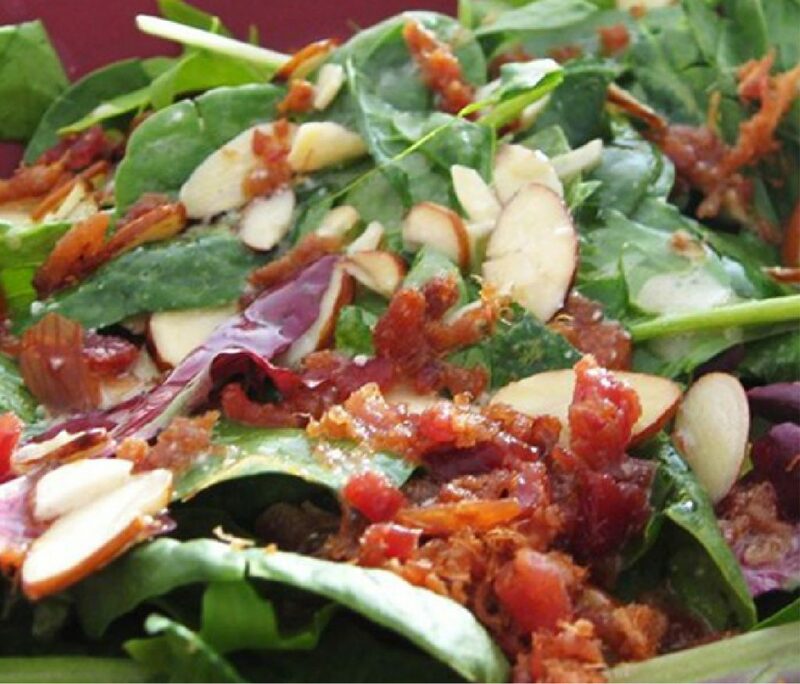 Toss the baby greens, almonds and crumbled bacon together in a salad bowl; drizzle dressing over salad and toss to coat. Serve immediately. Pour olive oil into a small bowl or jar. With a garlic press, press garlic clove into olive oil, including crushed pieces of garlic in the oil as well. Add rice vinegar. Whisk all ingredients together, it will thicken slightly. Add salt and pepper to taste. 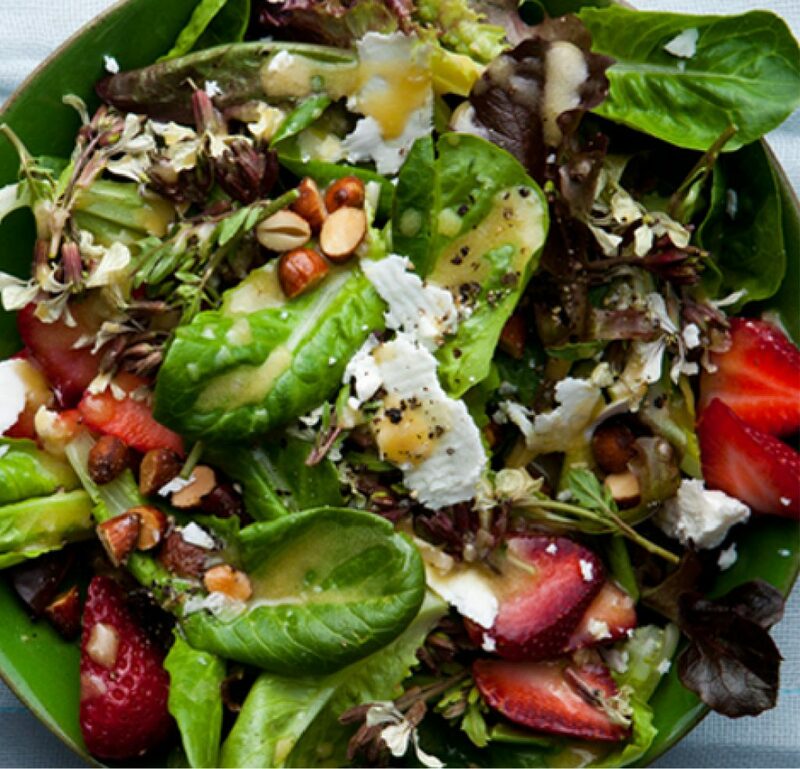 Drizzle over your leafy greens, toss greens and ENJOY! This recipe created by Little Leaf Farms. Rinse fennel thoroughly. Trim and discard root end of bulb.  Trim stalks from bulb, and chop fronds to equal 1/4 cup; reserve stalks and remaining fronds for another use. Thinly slice bulb and toss with oranges, pepper and 1/2 tsp. salt. Cover and let stand until ready to use. Meanwhile, cut asparagus tips into 1 1/2-inch pieces. Cut stalks diagonally into thin slices, discarding tough ends. Bring 3 cups water and 1/2 tsp. salt to a boil in a large saucepan over medium-high heat. Add asparagus and cook 1 to 2 minutes or until crisp-tender; drain. Plunge into ice water to stop the cooking process; drain. Pat dry with paper towels. Bring 3 cups water and remaining 1/2 tsp. salt to a boil in saucepan over medium heat. Add lentils; return to a boil. Reduce heat to low and cook, stirring often; 8 to 10 minutes or until crisp-tender. Drain well and rinse with cold water. Toss lentils with 1/4 cup Champagne-Shallot Vinaigrette. 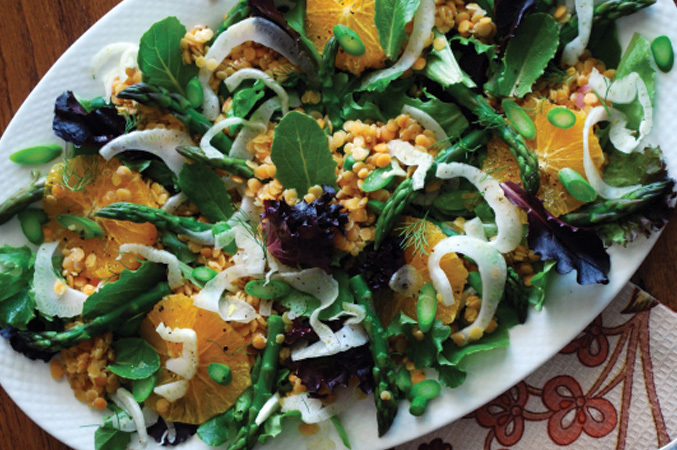 Combine lettuces, asparagus, fennel mixture and fennel fronds in a large bowl; toss with remaining vinaigrette. Spoon lentils onto a serving platter; top with asparagus mixture. This recipe is a variation of a Southern Living recipe and Home is Where the Boat is. When purchasing greens, look for freshness, selecting greens that don’t have wilted or discolored leaves. Add dressings to greens just before serving. This will prevent greens from becoming soggy. Wilted and/or leftover lettuce can be added to soups/stews. Add them at the end of cooking. Or saute´ wilted greens with a little olive oil and garlic for a tasty side dish for any meal.